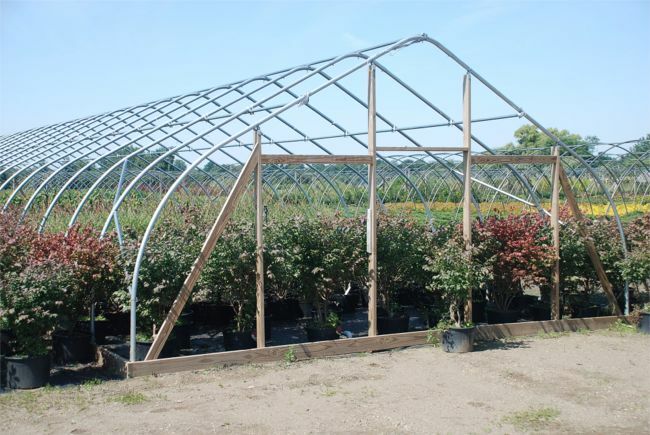 The grower’s base package includes the framework complete with all predrilled steel, hardware and instructions. 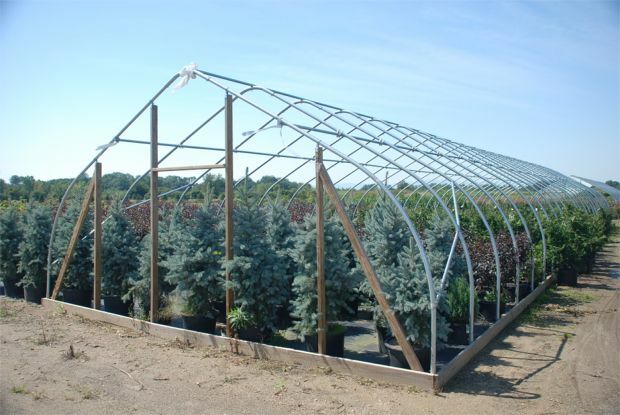 Also includes: 2" x 4" end wall framing brackets, a double layer of 6 mil clear, 4 year polyethylene film, polylock for the sides and gable ends, and an inflation blower. The mechanical ventilation option includes a fan(s) with an automatic belt tightener, aluminum shutters and thermostat(s). 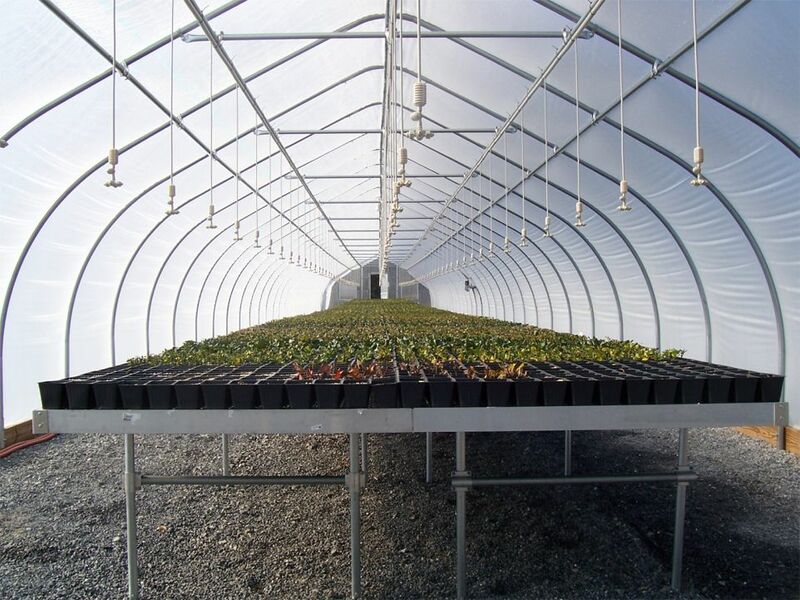 The roll-up sides package includes everything to utilize the poly for a rollup sides including roller bars and all necessary hardware for 2 roll-up sides. 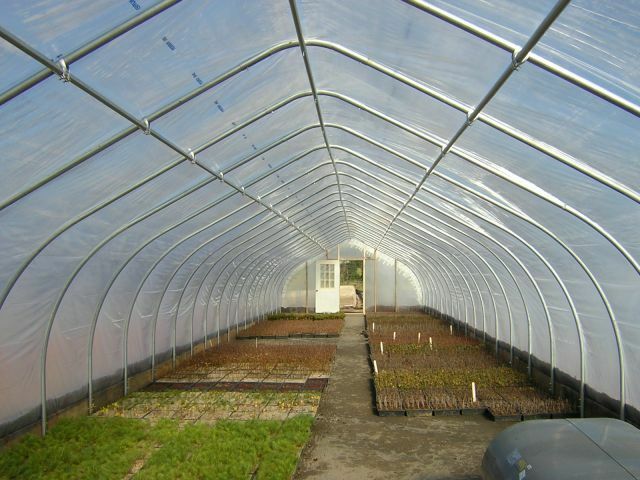 The gas heat option includes Reznor heater(s), HAF fans to facilitate even heat distribution, a thermostat, a heater hanger and a double-walled vent pipe assembly. Additional Options Metal end wall framing kits are available for $540 per end which are recommended when using polycarb for end walls.